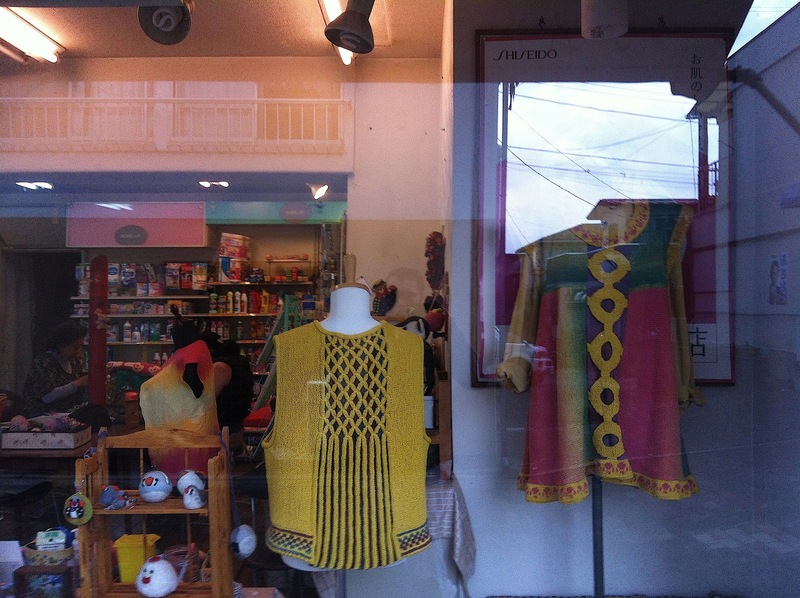 Wonderful post, especially with the photos of your local store! What fun to find this little treasure box. 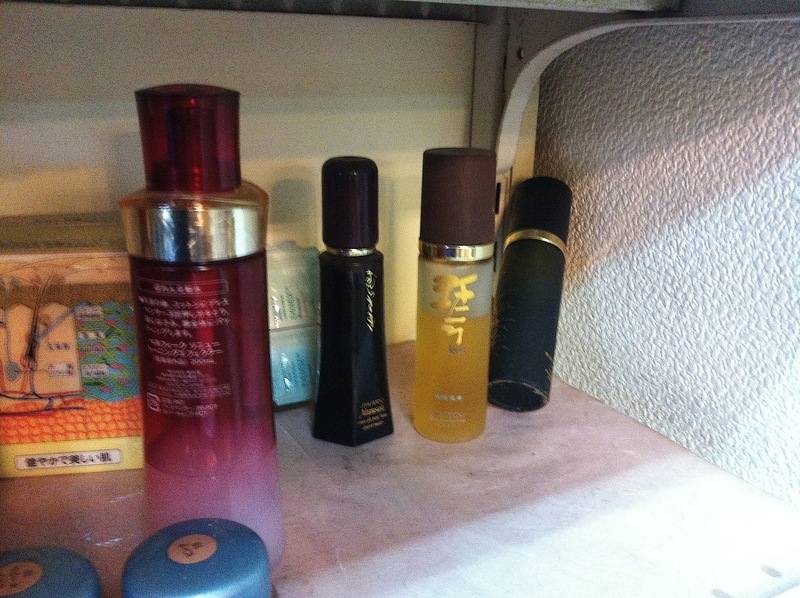 I still have a bottle of the 2000 Shisheido Zen, by Natalie Lorson, which I wore daily for a few years. The bottle is basically empty but I keep it so I can sniff it again once in a while, and because its sculptural white shape is so pleasing. Such a shame that they discontinued it, although that’s probably what led to my discovery of it at some store like Marshall’s. P.S. 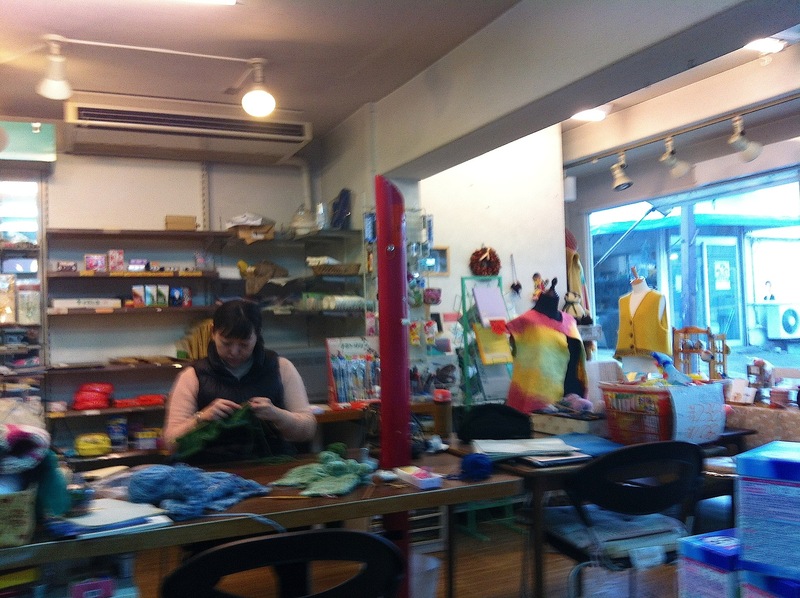 I just found your post on it and the incense ceremony; fabulous story! Thank you. Yes, I really did enjoy writing that one I must say. What a find! The Empress wore it on her wedding day???? That’s what I chose to wear when I got married to my partner on a cold December day in Boston. I chose it because I wanted something pure, something so unlike me. And something Japanese to commemorate that my partner (it’s still hard to call him my husband) and I met in Japan. The Empress is so gracious. One time my partner (husband) were at the gate of the imperial Palace, the gate that has the office of the Household Agency that arranges tours to Katsura Rikyu and Shugaku-in, both in Kyoto. We were arranging our dates to visit and suddenly a call came in that the Empress’ motorcade was approaching the palace. I guess when that happens, staff must go outside to bow. We went out, too. The Empress saw us– two foreigners bowing deeply– and she instructed her driver to slow down. She waved to us. It was touching. Natsukashi! What a beautiful story. I am no monarchist/royalist, but I have nothing against Elizabeth and she does a good, stolid, job. But she is not a patch on Empress Michiko for style and natural gracefulness. I am impressed also, in a way, that you were also able to bow deeply. I am somehow physically and psychologically incapable of it. As for White Rose, it is interesting how we feel identically about it. This is not a scent I would wear at all often, if ever, actually, but I can, as you say, completely imagine there being a day when it would be absolutely pitch perfect. That pure translucency that could be quite cleansing to the spirit. 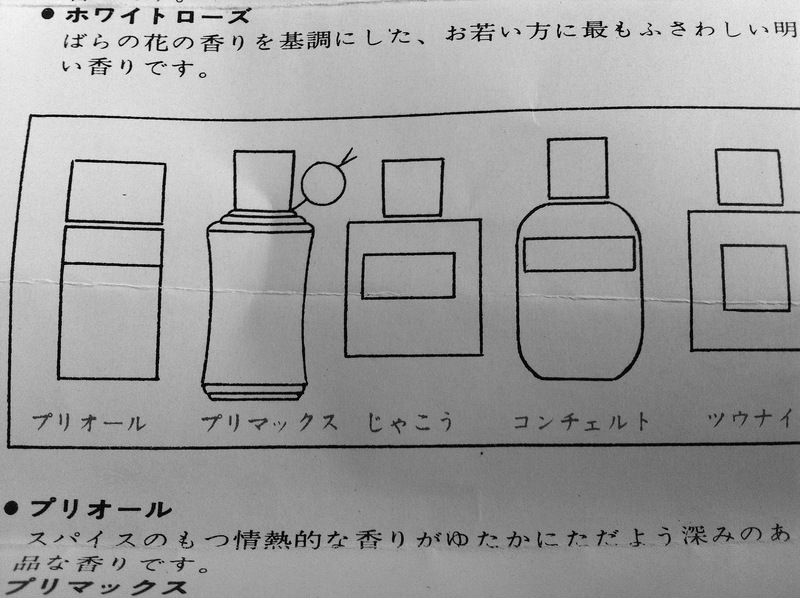 Did you buy a full bottle of the extrait when you were in Japan? No, I couldn’t justify spending that much money on a rose fragrance, although I was tempted….the bottle is beautiful. I’m not sure if I can really get away with rose on my skin. I have tried with Noir de Noir, West Side, and Red Roses. I am intrigued by what I’ve read about Voleur de Roses and Acteur. It’s all samples and decants for me…. And they usually get used up on my bed sheets. Voleur De Roses was one of my signature scent for a while in the nineties. None of the L’Artisan perfumes are quite what they were, but I still really like that one. It is, as you will know, a kind of patchouli plum rose thing, but there is something about the particular composition that makes it nothing like all the tedious current oudh roses, nor even anything patchouli-ish. Worth trying if you ask me. Love this post! 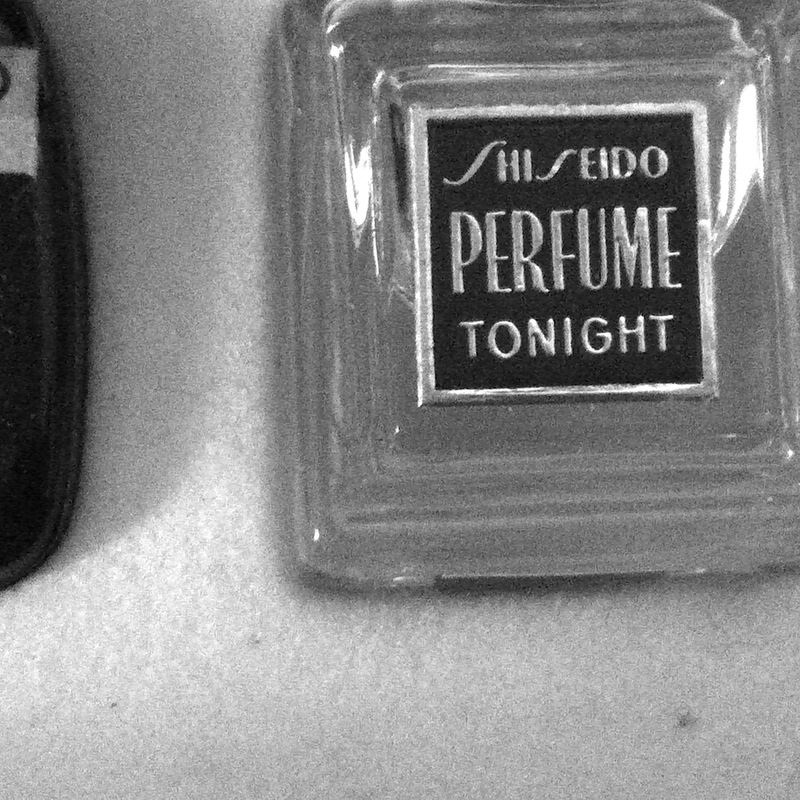 I am so enchanted by all things Shiseido, had a fabulous Shiseido shop in my town growing up; a very Asian suburb of Boston. 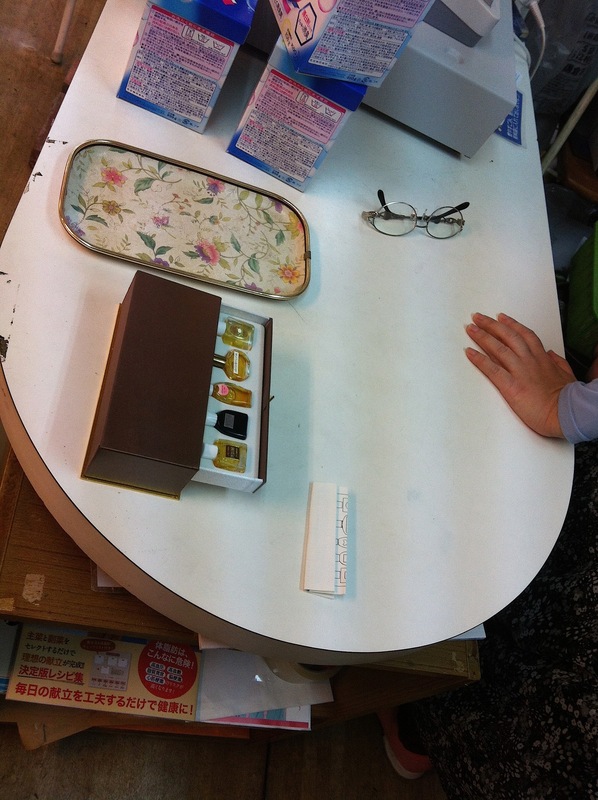 I noticed a beautiful vintage bottle of Murasaki in one of your photos. Would love to get my hands on it, I adore Murasaki. I wonder how much it costs. Next time you are in the shop, would you be so kind to ask; I am curious as to how pricey it might be. I would love to try the White Rose scent, especially seeing that the Empress wore it. It must be so lovely. 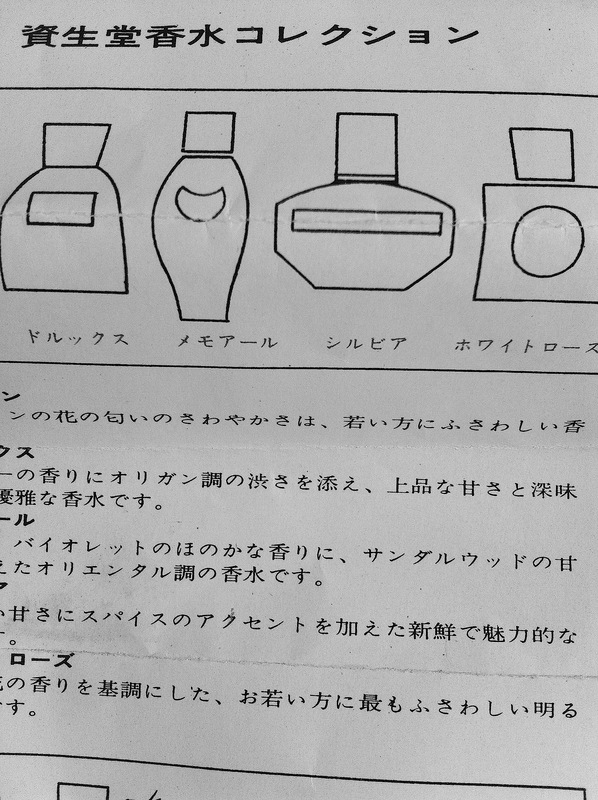 You should share more about Shiseido, I actually worked for them back in 1989 during the time they were transitioning to their more glamorous ideal. I always adored the company, but also always wanted to know more about what it is really like, not jut the posh High St. Version we are presented with here. Just loved hearing about all those fabulous little scents. I hoped you would like this post, and how fascinating that you once also worked for the company. I also find the contrast between the old Shiseido and then the Lutens remix very interesting, which is why I was so startled when I found this box (and sorry I can’t write about them in more detail; they just don’t sing to me enough to). 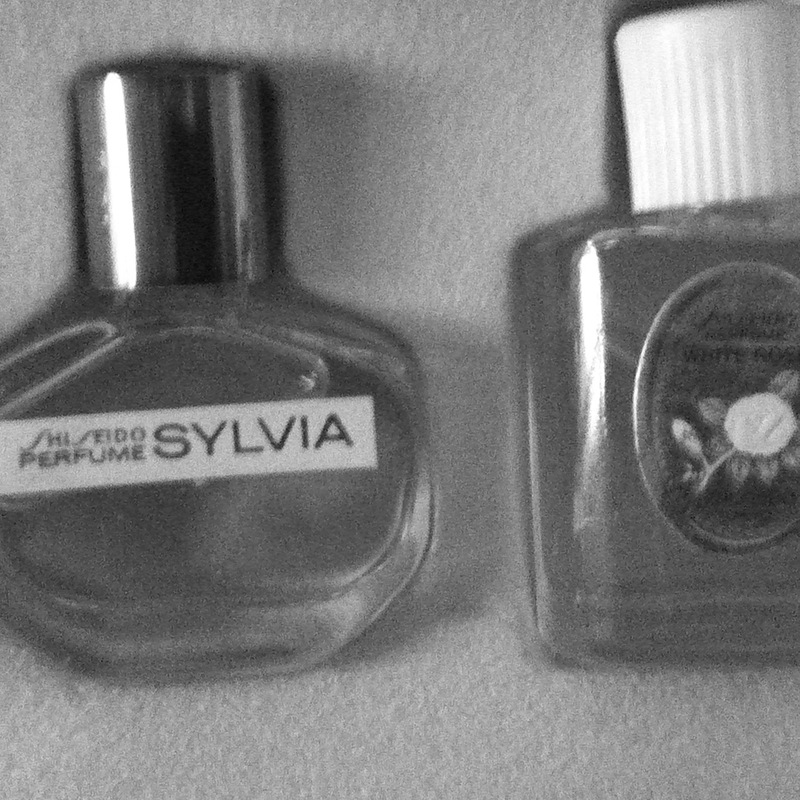 Nevertheless, the sheer obscurity of a perfume called Shiseido Sylvia is strangely thrilling. I once bought Murasaki as well, but found that once I had it I much preferred No I9. Having said that, it does have its own unique fresh powdery aspect that makes it worth having. I’ll ask how much it is. I thank you so much. 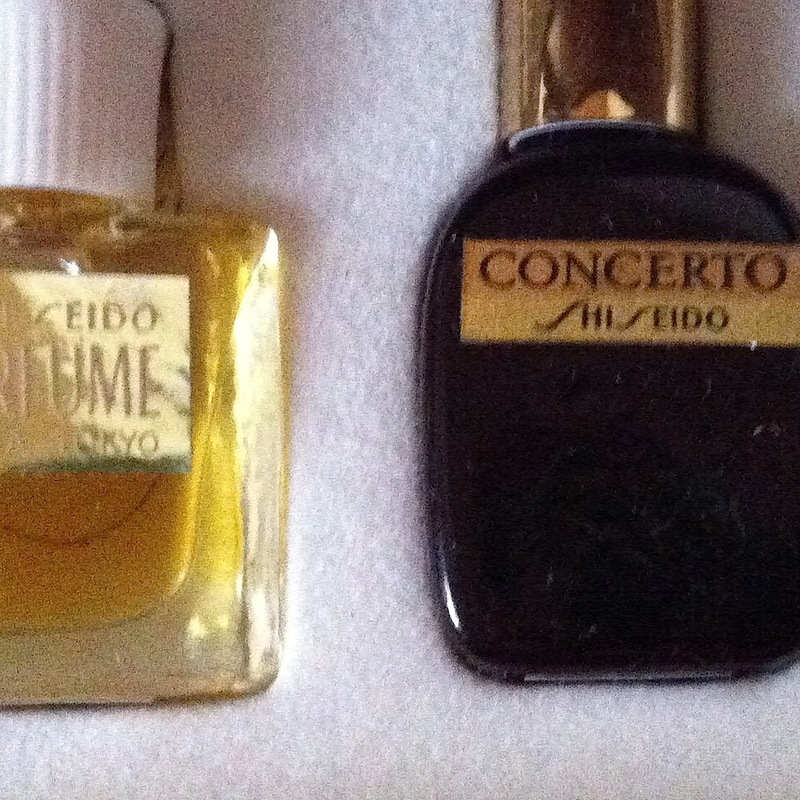 I adore Shiseido and wish the scents you have were more memorable, yet as a time capsule like find they are priceless. 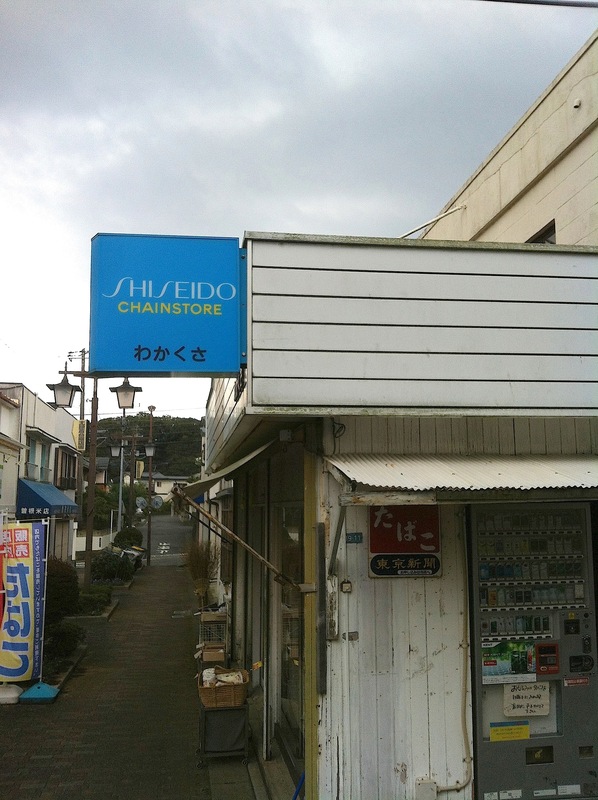 I also used to own Inoui and that one was a real treasure. 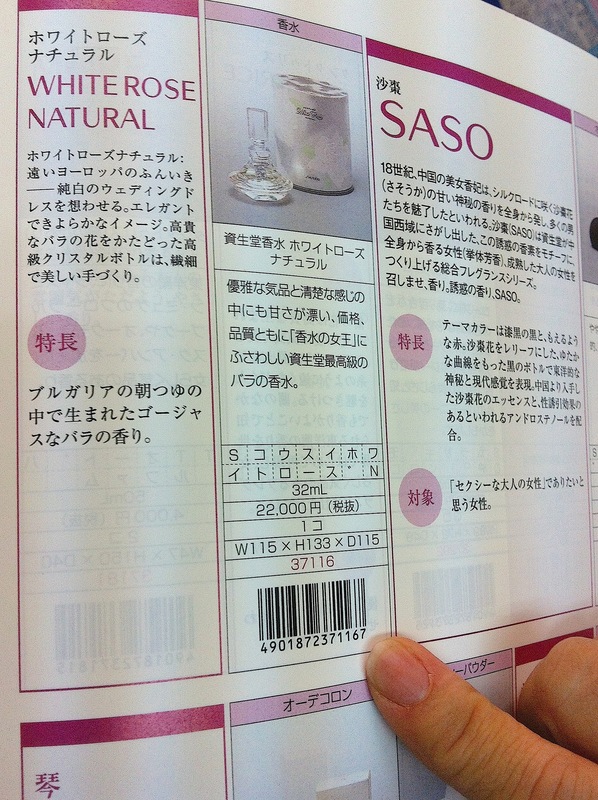 There was also another one named Saso which was also a glorious find. My favorite though was Murasaki, it was a scent my mother gave me as a jeune fille. I wore it for years till I could find it no more. Wow! 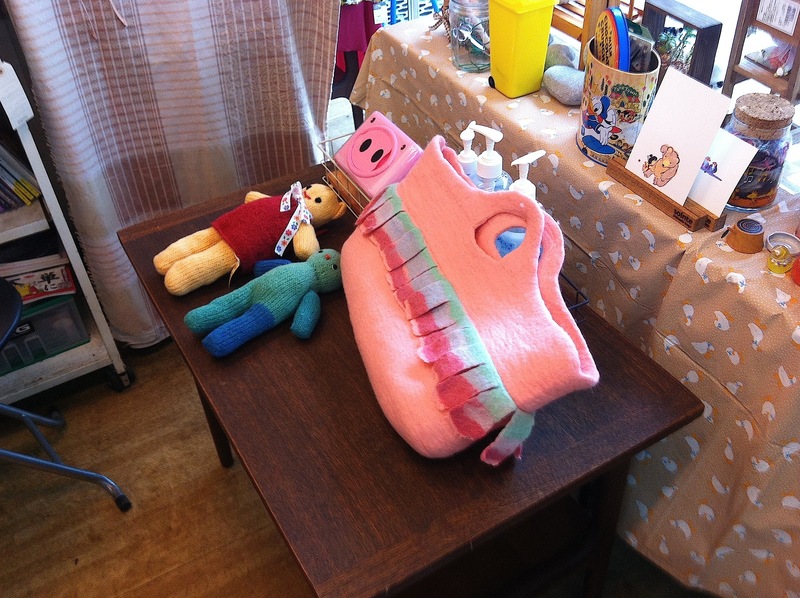 I am always awed by your finds……. a world of secret treasures! Virtual travel for your readers, in time and space. 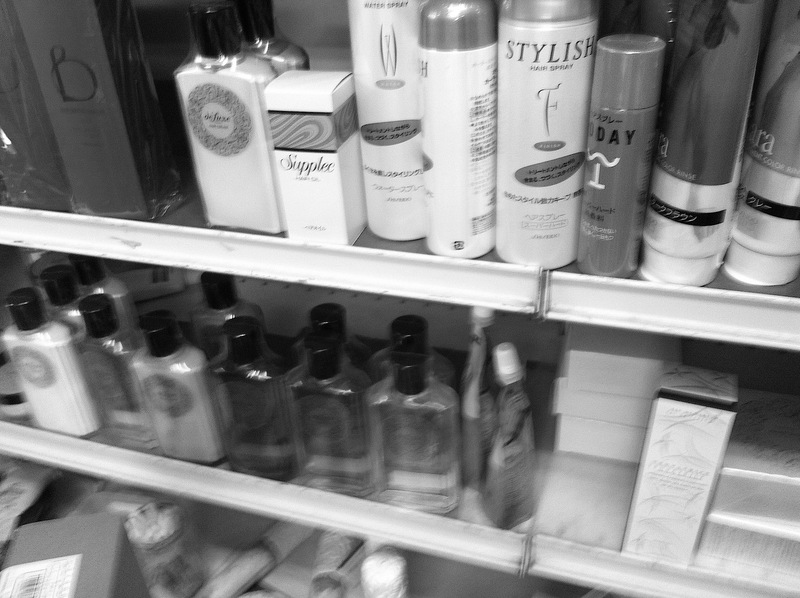 I love the whole quotidian Japanese nature of everything here, fragrances included. Such a refreshing alternative to the images of a fastidious, hyper-slick and upscale Japan that I’m used to seeing. Thank you, thank you, Neil. My dad brought me back a bottle of Murasaki after he was on sabbatical in Japan and I loved it as a teenager. Maybe that’s why I took to N°19 so easily a little later — although I tend to relate Murasaki to Silences a little more closely. Thanks. After the rather cold and camphoraceous post yesterday, I fancied something a bit warmer- fluffy and aldehydic and a bit nicer about Japan! You are right though: you usually only see the zen exquisite/ Tokyo futuristic side in other countries : I liked the idea of revealing a more banal, scruffy yet homely and friendly side of the place. Zen exquisite/Tokyo futuristic side: that’s just what I wanted to say, but didn’t have the words. You always do. Please never stop writing for us — and for yourself. You have plenty of all the right words. 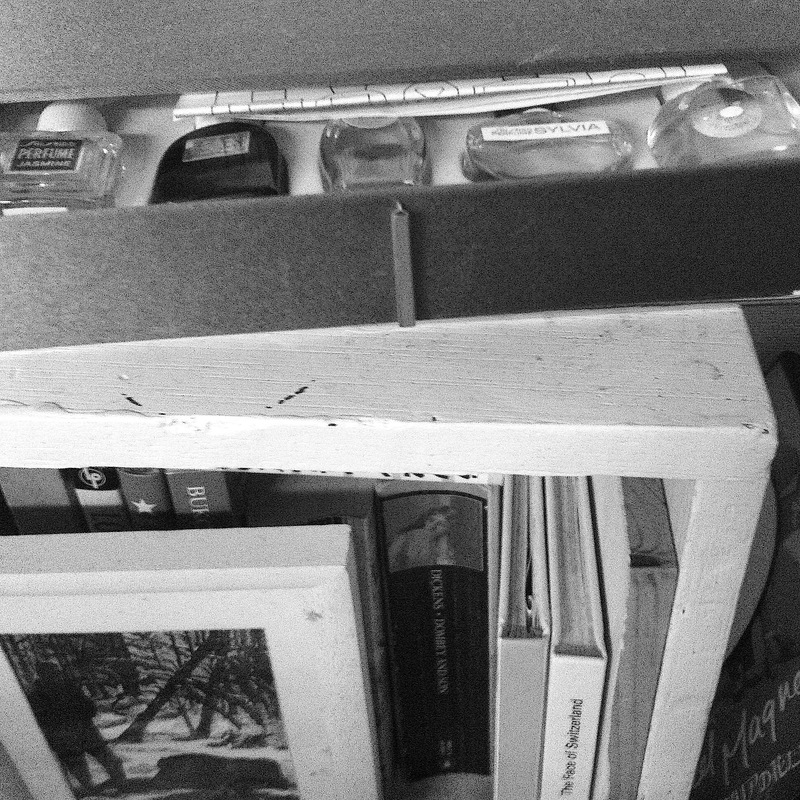 I think that it is pretty cool that you found that little collection. Yes, and now I don’t know what I have done with it! I was just looking for it but can’t locate the damn thing. I want to reacquaint myself with them all again, one by one. I had a bottle of Murasaki several years ago, but couldn’t quite get excited about it and ended up selling it. Would like to smell White Rose one of these days. 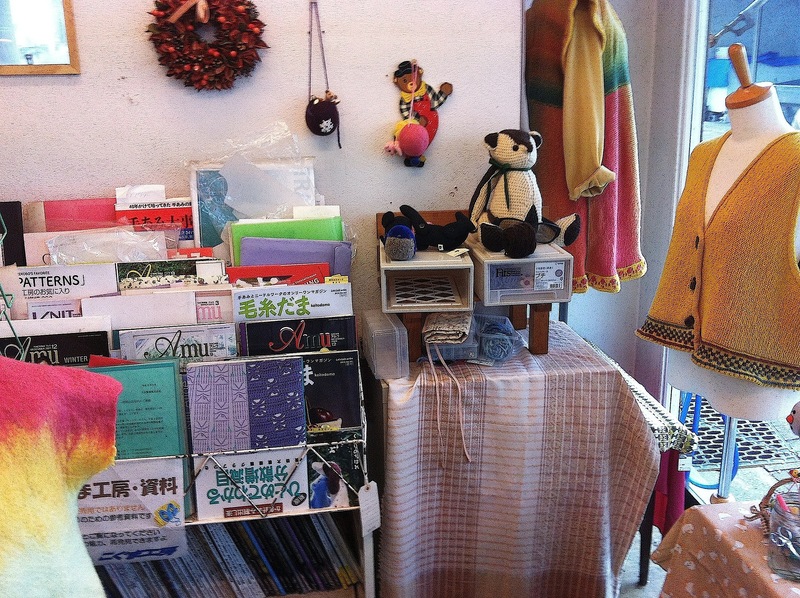 Like Robin, I enjoyed seeing the dowdier, more homely side of Japan. I have spent time on a farm in the south of France and it is 180 degrees from the brilliant sparkling glamour one thinks of, because of course Paris is not France, just like Tokyo is not Japan. Exactly. And this is my daily reality.